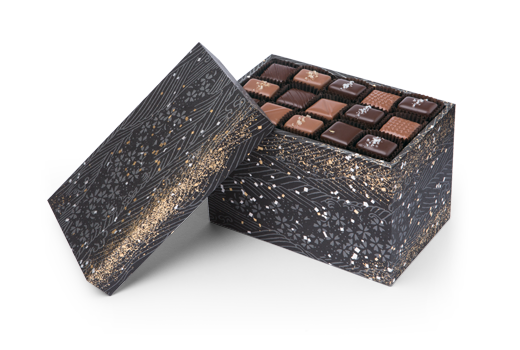 Japanese Chabako Box — $155 Custom wooden boxes wrapped in hand-printed washi paper are filled with an elegant assortment of our dark and milk chocolate truffles and caramels. 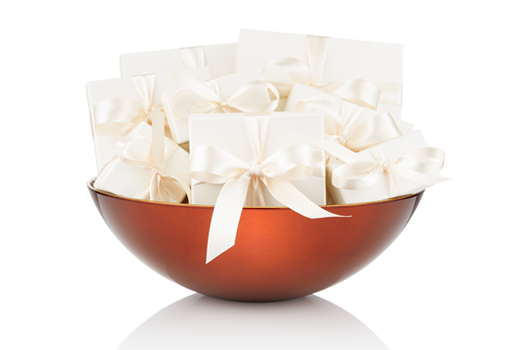 Mitsuame Lacquer Bowls — $250 - $375 An exquisite piece of art, our new copper mitsuame (mit-su-ah-may) lacquer bowl is filled with a luxurious assortment of our finest confections: award-winning salted caramels, dark and milk chocolate truffles, and chocolate-covered fruits and nuts. 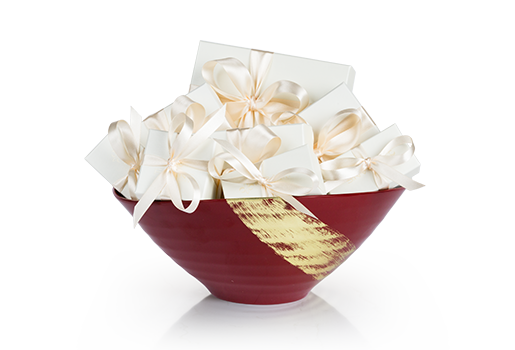 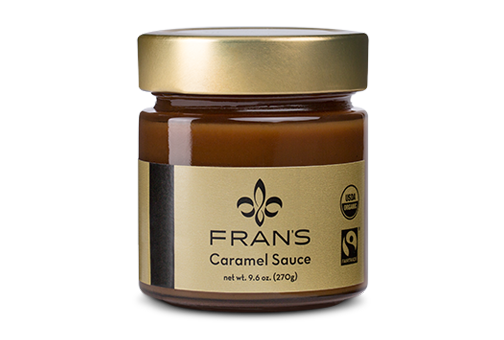 Lacquer Gift Bowls — $155 - $200 Hand-made Urushi lacquer bowls contain Fran's most popular items, including our award-winning salted caramels, signature assorted truffles, and classic nuts and caramels. 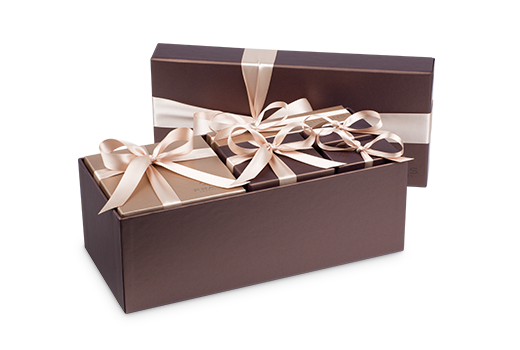 Collection Gift Boxes — $155 - $185 Generous assortments of our finest confections, including award-winning salted caramels, dark and milk chocolate truffles, and seasonal treats. 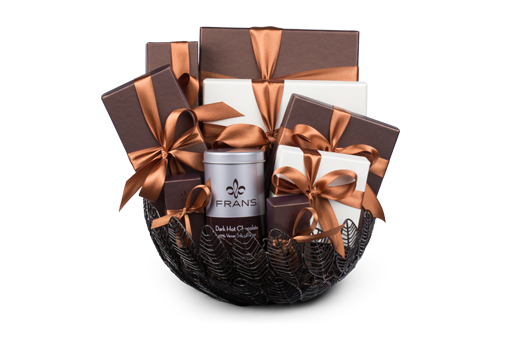 Gift Baskets — $350 - $400 Beautifully handcrafted wire leaf baskets hold a delectable assortment of Fran's favorite confections, including assorted truffles, award-winning salted caramels, chocolate covered ginger and apricots, award-winning dark drinking chocolate, chocolate imperiales, and gray salt thins. 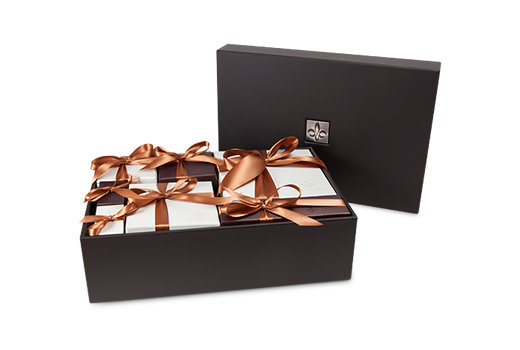 Leather Box — $515 Hand-stitched, pebble grain leather covers our keepsake gift box which is generously filled with two layers of our complete collection, including Japanese lacquer plates, gray and smoked salt caramels, signature dark and milk chocolate truffles and chocolate dipped nuts and fruits.